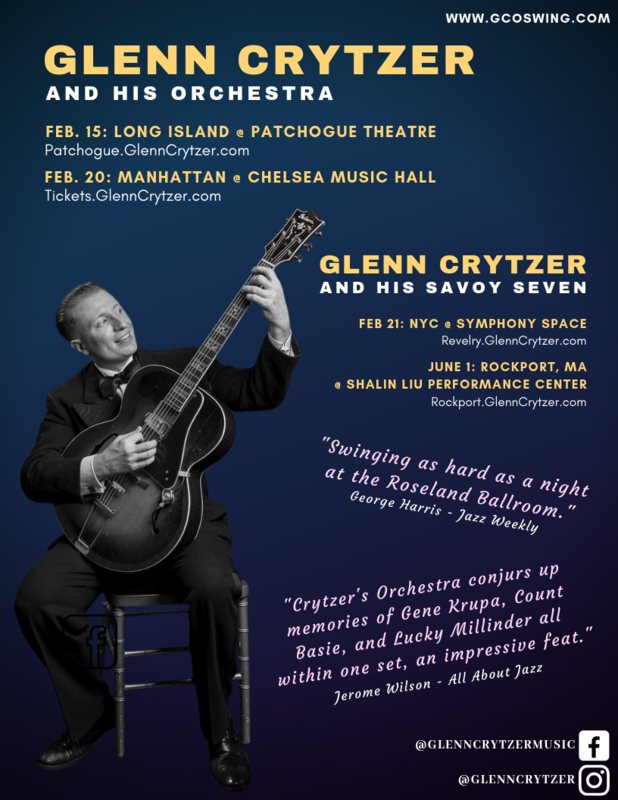 The music of the Swing Era comes to life when you join Glenn and his award-winning cast of all-star musicians. Tickets now on sale for concerts in NYC, Boston, and on Long Island. Supporting musicians include Mike Davis, Dan Block, Rob Edwards, Barbara Rosene, Jon-Erik Kellso, Dennis Lichtman, Jim Fryer, Ron Wilkins, and many more!